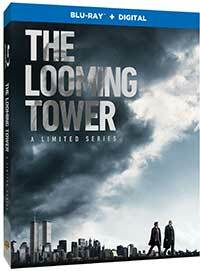 The Looming Tower, one of the Hulu Network’s biggest hits this past year, was based on Lawrence Wright’s similarly titled, Pulitzer Prize winning book.This is a 10-episode retelling of the 9/11 saga that opens with the 1998 bombing of US embassies in Dar-Es-Salaam and Nairobi and concludes with the greatest act of terrorism ever committed on American soil. A turf battle rages between Martin Schmidt (Peter Sarsgaard), the Langley chief of CIA’s “Alec Station,” and John O’Neill (Jeff Daniels), director of the FBI’s I-49 counter terrorism unit in New York, that will eventually lead to interagency communication failures that enabled 9/11 to take place. The two men are polar opposites: Schmidt is a reserved academician; O’Neill is an irascible, hard-drinking philanderer. Eventually, Schmidt gets replaced by tough agent Diane Marsh (Wrenn Schmidt) and O’Neill gets forced to retire only to be hired as security chief at the World Trade Center just ahead of the terrorist attacks. There are occasional timeline shifts between the events preceding 9/11 and the Congressional hearings three years later. Testimony is provided by several of the protagonists including Lebanese-American I-49 special agent Ali Soufan (Tahar Rahim), Agent Marsh, National Security Coordinator Richard Clarke (Michael Stuhlbarg), CIA director George Tenet (Alec Baldwin), and Secretary of State Condoleeza Rice (Eisa Davis). Following the 2000 bombing of the USS Cole in Aden’s harbor, we see the inexorable progress of the planning and the execution of the 9/11 attacks. Al-Qaeda recruits like Khalid Al-Mihdhar (Tawfeek Barhom) and Nawaf Al Hamzi (Nebras Jamali) have taken up residence in the US while Khalid Sheikh Mohammed (Ibrahim Renno) methodically prepares these two men and the other recruits for their final mission. Ironically, Agent Marsh had begun to connect the dots of this horrific plot, but her intel gets sidelined and the attacks go on as planned. This series gets stellar performances from the veteran Jeff Daniels and the newcomer Tahar Rahim with a supporting cast that could hardly be bettered. The script crafted by Wright, Alex Gibney, and Dan Futtermann adeptly mixes facts with dramatic inventions, casting a bad light on both Clinton and Bush Administrations leading up to 9/11. There is spot-on behind-the-cameras work from Craig Zisk, John Dahl, Ali Selim, Michael Slovis and Gibney in locations ranging from New York to Johannesburg. The 9/11 story has now been told in numerous dramatic and documentary films; The Looming Tower is as powerful an account of these historical events as I have seen to date. The series artfully blends dramatic with documentary footage giving the closed-door drama and the terrible events on the ground an absolute sense of realism. After comparing the Blu-ray discs to their streaming versions on the Hulu Network, the former win hands down with respect to color palette, details, contrasts, and depth of image. Facial closeups are splendid and there are plenty of those. The larger scenes like the search for victims in the bombed-out US Embassy in Nairobi add to the “you are there” impact that characterizes this series. The DTS-HD MA 5.1 soundtrack is immersive when it needs to be, particularly effective in the flyovers, and the boom-boom explosion scenes. The all-important dialogue that drives the story forward is crisp and clear. The Looming Tower: Divided We Fall(English Dolby Digital Stereo 48k/16b) (7:13 ). Author Lawrence Wright, former FBI Agent Ali Soutan, Futterman, Gibney and cast members discuss the interagency disputes leading up to 9/11. Ali Soufan In His Own Words(English Dolby Digital Stereo 48k/16b) (10:05) The former FBI agent presents his personal story and memories of his mentor John O’Brien. Across Three Continents: Creating The Looming Tower(English Dolby Digital Stereo 48k/16b) (10:34) A feature on the production team’s efforts to recreate the story from New York to Morocco to Johannesburg with attention to accuracy and details. There is a digital download from the Warner Brothers website. After waiting six months for this Blu-ray version of The Looming Tower, my patience was amply rewarded. This is a well-done series that does dramatic justice to the 9/11 narrative and deserves a place in every cineaste’s library. Highest recommendation. 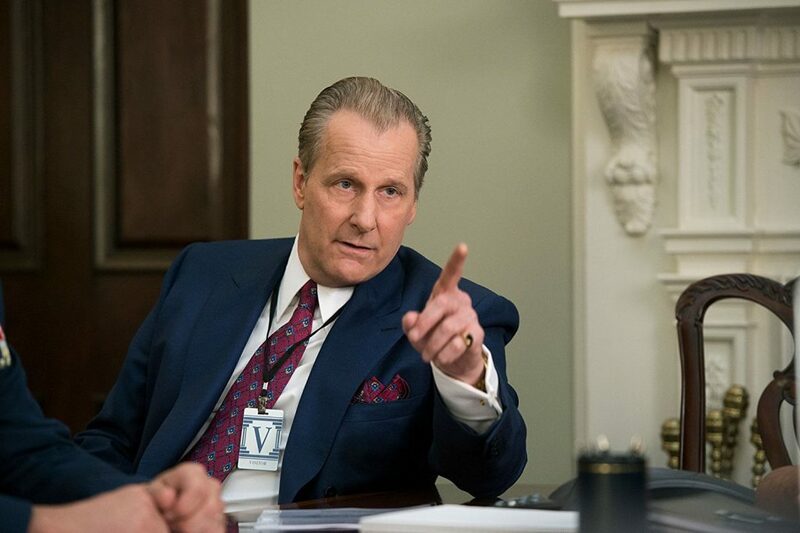 The Looming Tower is out on Blu-ray and DVD on September 18, 2018 from Warner Bros.